The Boeing Research and Development divisions in Southern California are expected to lose nearly 300 of their 700 employees over the next two years. Affected sites include El Segundo, Long Beach, Seal Beach and Huntington Beach. The recently announced layoffs are part of Boeings realignment plan that began in 2012 to consolidate operations in five centers of excellence. California will remain one of the major centers going forward for the next few decades; Other centers are located in Alabama, Missouri, South Carolina and Washington. While Southern California is losing employees due to the restructuring, the sites in Alabama, Missouri and South Carolina will have a corresponding growth. 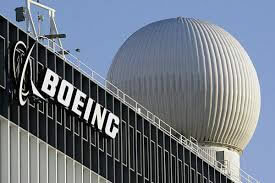 Unrelated to the realignment program, Boeing anticipates an additional 800 to 1,000 layoffs in Washington. This is primarily due to the decline in current aircraft production and the plan to build new 777X twin-aisle plane in a different location. Our customers have a common need for new technology that can be integrated quickly and efficiently into current products and production lines. With these changes, we are enhancing our ability to provide effective, efficient and innovative technology solutions. This loss of 300 employees in the R&D areas follows on the September announcement of layoffs anticipated at the Long Beach site when the C-17 Globemaster III cargo plane stops production in 2015.